Surf Cds - items 50 to 75 Shop MyMusicFix!! "Wipe Out - Jon & the Nightriders, Fiberglass Jungle and Surf, Sand & Fun - 3 CD Set"
Out Of Print Surf CD. Artists & Tracks Include: "Surf City/Jan & Dean" "Wipe Out/ Surfaris" "Pipeline/ The Chantays" "Surf Rider/ The Lively Ones" "Ride The Wild Surf/ Jan & Dean" "Church Key/ Dave Myers & The Surftones" "Surfin' U.S.A./ The Beach Boys" "Penetration/ The Blue Hawaiians" "Sleep Walk/ The Lively Ones" "Surfin' Queen/ Larry Bright" "Surf Battle/ The Centurions" "Ultimate Wave/ Eddie Day (Of The Lively Ones)" "Surfin'/The Beach Boys" "Bustin' Surfboards/ The Lively Ones" "Bullwinkle Part II (From Pulp Fiction)/ The Centurions" "California Girls/ The Beach Boys" "The Pipe/ The Sentinals" "Misirlou/ The Lively Ones" "Sammy The Sidewalk Surfer/The Surfettes" "Exodus/ The Lively Ones". 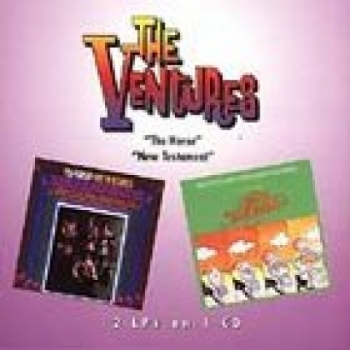 "The Ventures, The Horse/New Testament - Sealed 2 LPS in 1 CD LIMITED OUT OF PRINT"